I have been on a sambal mission lately. 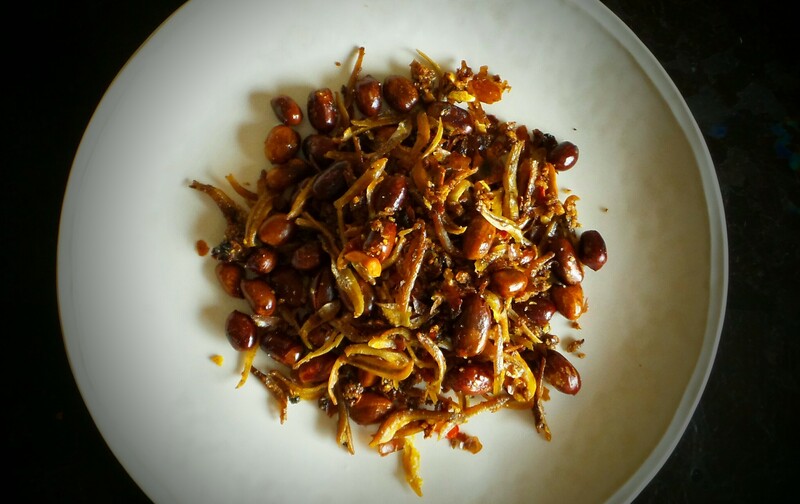 The main reason: I have these precious bottles of home-made crispy ikan bilis and peanuts couriered from Singapore. 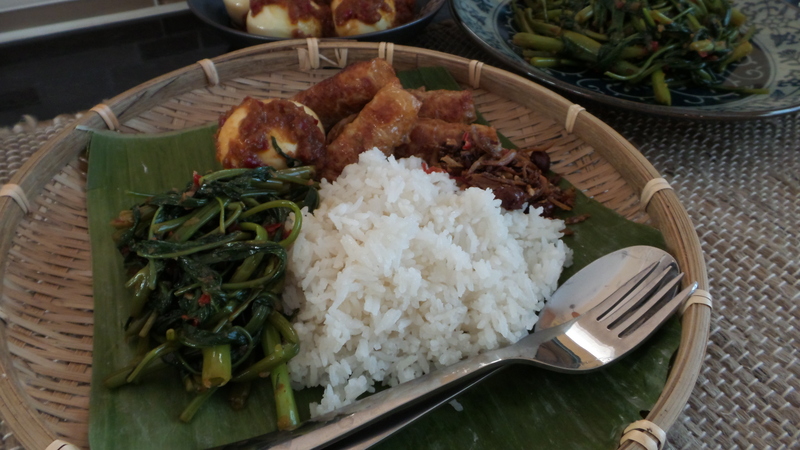 Now that I have the sambal chilli handy, it is time to whip up the Nasi Lemak. 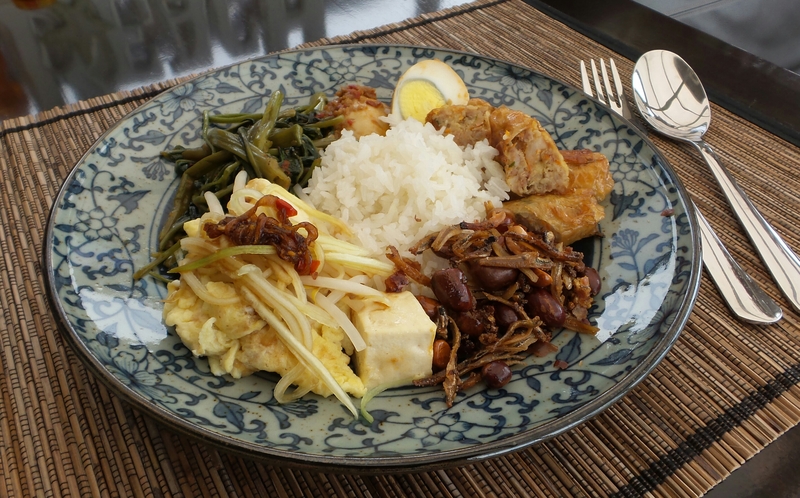 The cast: coconut rice, crispy ikan bilis and peanuts, Sambal Telur (Eggs), Sambal Kangkong, and Ngor Hiang. Sedap! Add the coconut milk, salt, and pandan eaves. Shell boiled eggs and dry completely with a paper towel. Heat the oil in wok over medium high heat. Add the eggs and fry until the skin is slightly blistered. I kept the wok covered while frying the eggs as the oil will splatter. Remove and drain on paper towel. Heat the sambal chilli until the oil separates from the paste. Add the salt, msg, water, and coconut milk. 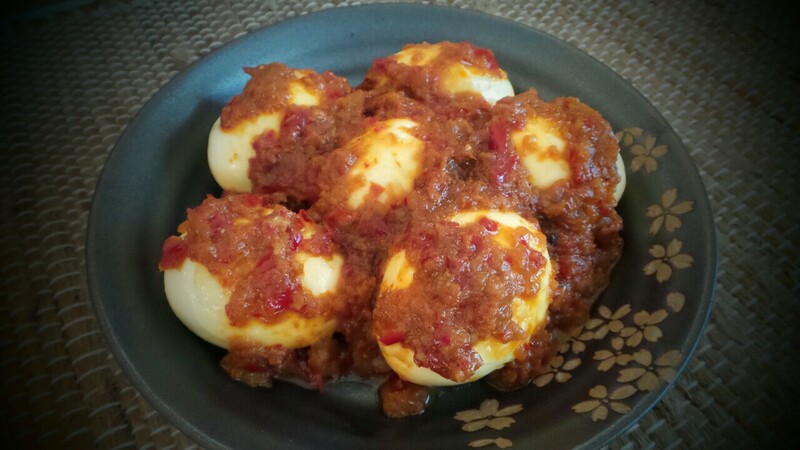 Stir well for a minute and spoon sauce over the eggs. 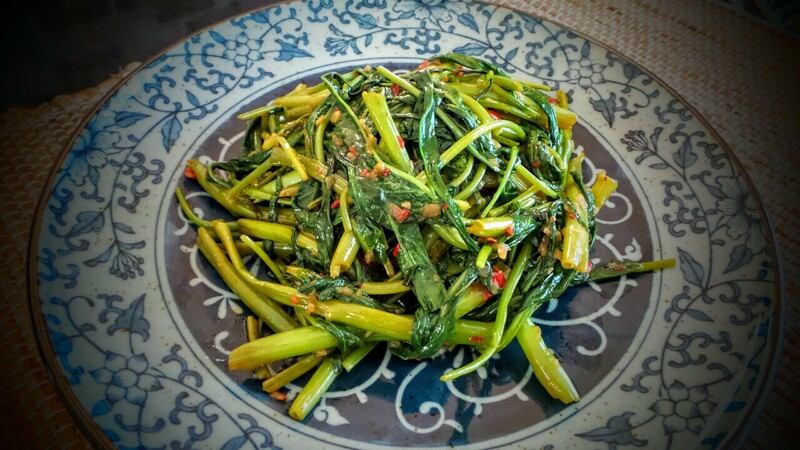 Cut the kangkong into 3-inch lengths, separate the leaves from the stalks. Omit the tough ends of the stalk. Wash well and drain. Set aside. Add the sambal chilli and stir fry for a minute. Turn up heat and add the stalks and stir fry for two minutes. Cover and cook for another minute. Add the sugar and pinch of salt. Stir well, then add the leaves. Continue to stir fry until the leaves are wilted and mixed well with the sambal. Line a serving plate with clean banana leave. Scoop a serving of the coconut rice onto the leaf. 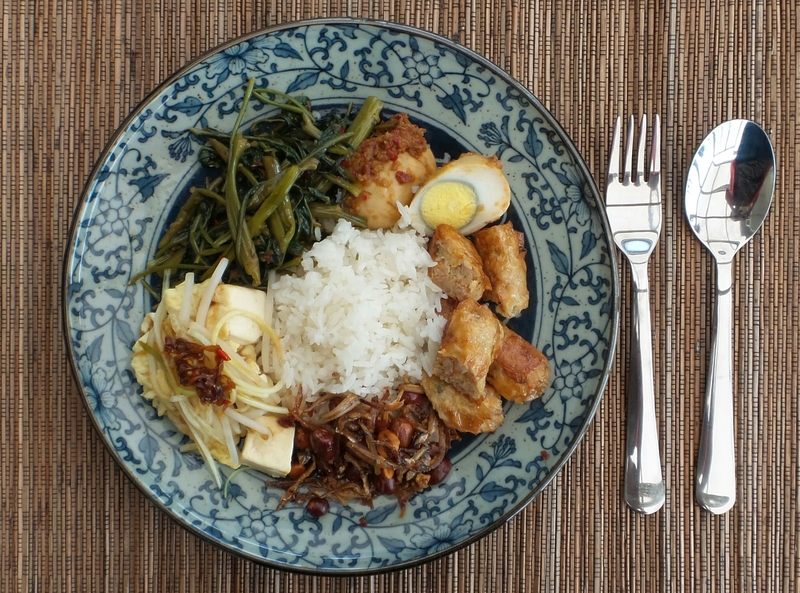 Arrange a serving portion each of the sambal kangkong, egg, ngor hiang, and anchovies around the coconut rice.